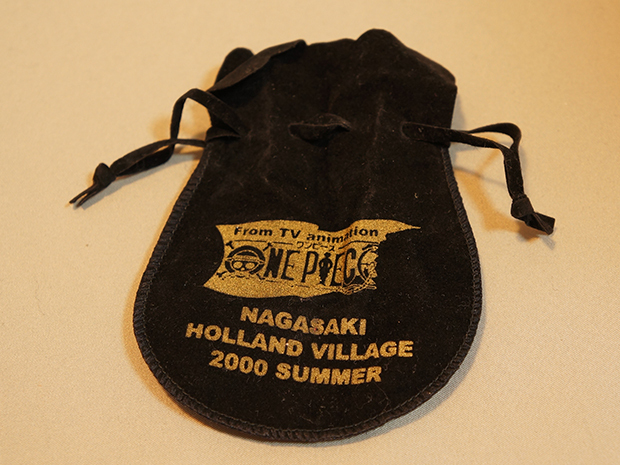 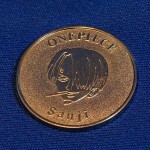 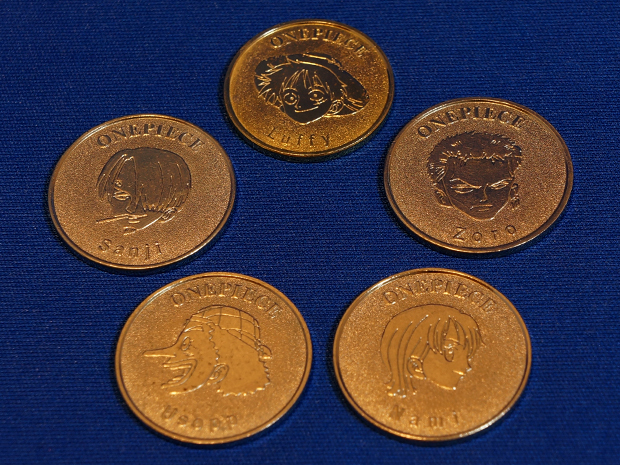 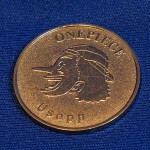 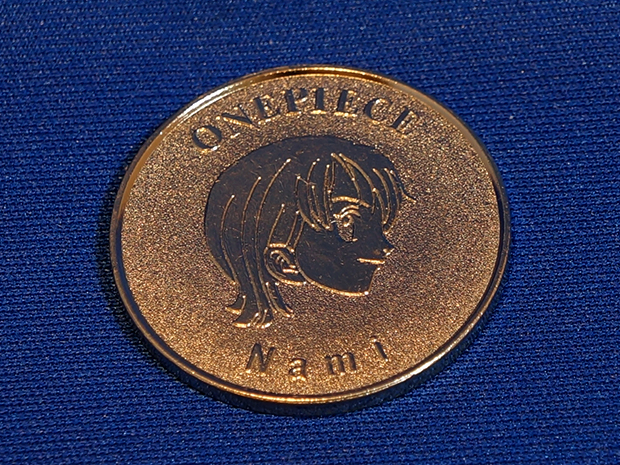 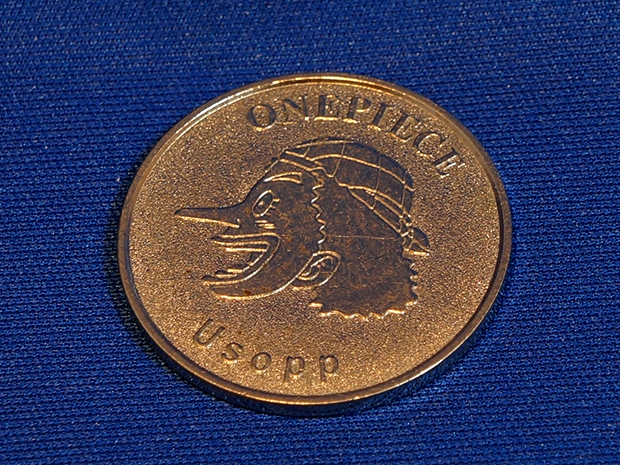 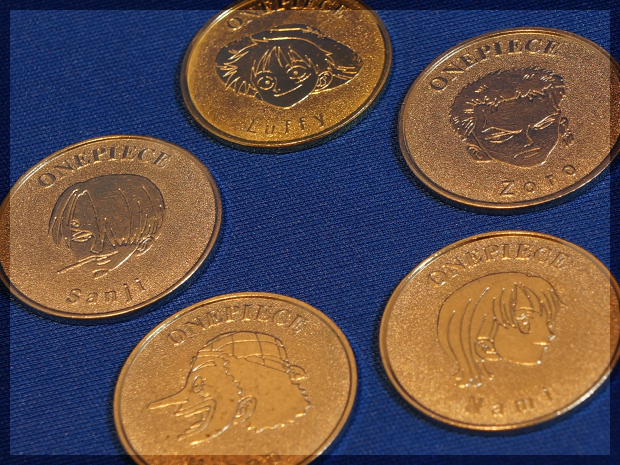 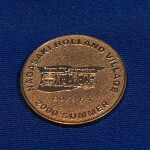 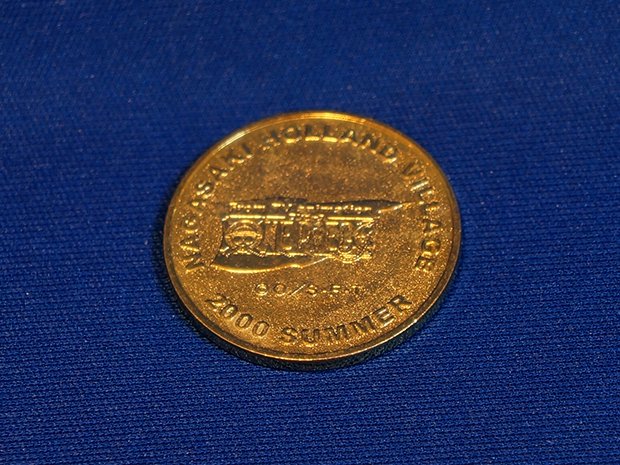 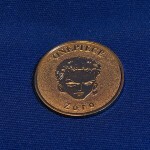 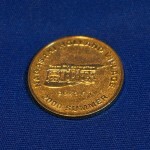 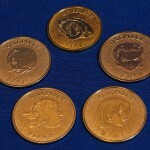 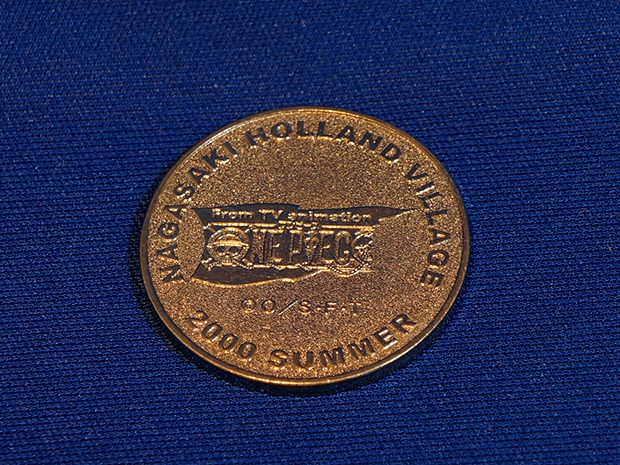 These are limited edition One Piece coins from the Nagasaki Holland Village event during the summer of 2000. 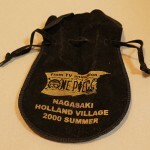 The Nagasaki Holland Village closed the following year. 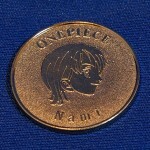 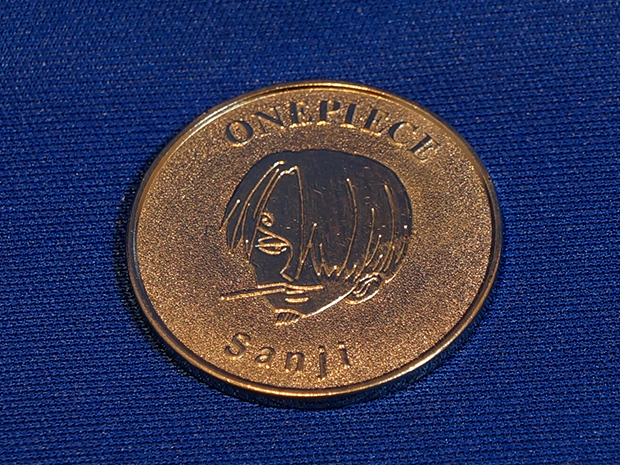 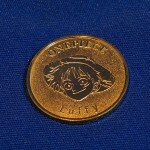 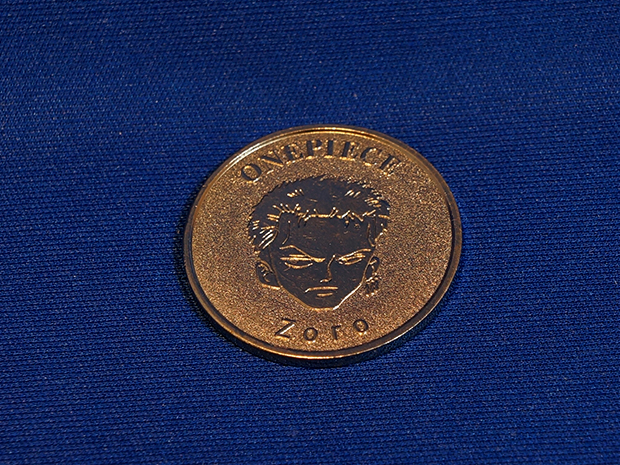 Inside a small pouch there are 5 coins, Luffy, Zoro, Nami, Usopp and Sanji. 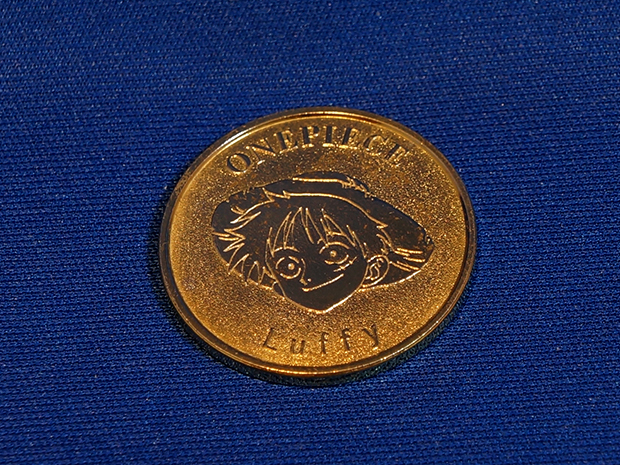 Luffy is gold colored, the other 4 are silver.